Minor cosmetic updates on the Temple of Anubis map in Overwatch might suggest something big is incoming to Overwatch and its lore, as pointed out by Redditor Karahe. Things I want to move up on Blizzard's priority list: Ana Fully-Animated Short. More Ana comics. More info on Ana's time as Shrike. Ana reuniting with Pharah. Addressing the awkwardness w/ Pharah so they can then go on to do cute mom-daughter stuff, but also tackling that drama. ​​Apparently included in an Overwatch patch on April 10, the attacker's spawn in the Temple of Anubis map now has a ​Helix Security International logo on it, when it originally wasn't there. Helix Security International is contracted to protect the Temple of Anubis. A "God program" named Anubis broke containment a few years ago and had hacked omnics in the area to control them. Anubis was eventually shut down by Helix Security International, thanks to the efforts of lieutenant Pharah and her team. The addition of the Helix Security International logo strengthens the goals of the defending team when playing on the Temple of Anubis, who are most likely attempting to stop attackers from waking up Anubis. ​​The Temple of Anubis now has ​wanted posters of Ana in three different places on the map. 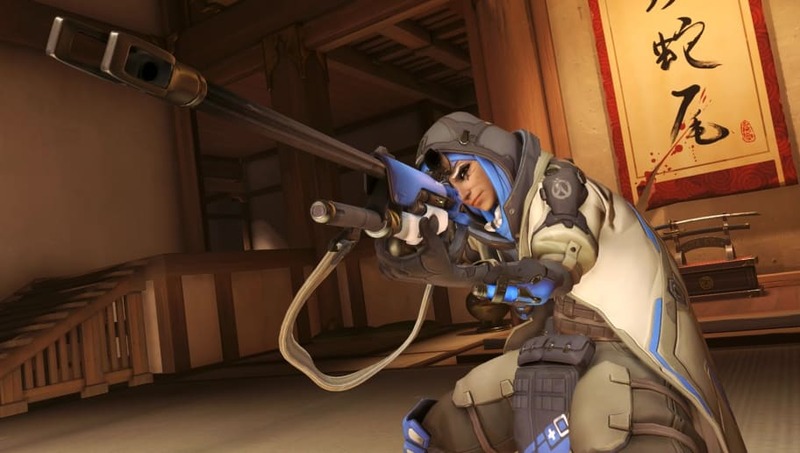 At this point in Overwatch lore, Ana continues the fight for justice under the alias "Shrike" and operates from Necropolis, which is an era set outside of the Temple of Anubis in Egypt. Seeing wanted posters that have Shrike's face (Ana's face) on them hints at the possibility there might be lore coming for the mother-daughter duo, Ana and Pharah. Blizzard is known for ​hinting at new lore by adding updates to the game. Doomfist's arrival in Overwatch brought ​changes to Numbani, for example. Because Ana and Pharah are playable characters in Overwatch, and because the lore-based event ​Overwatch Retribution already focuses on ​other Overwatch heroes, the new additions to the Temple of Anubis might hint at new Overwatch lore in the form of an animated short or comic.